By filing for bankruptcy protection in Glendale, Phoenix, Mesa, Tucson, Gilbert, and throughout Arizona you will be eliminating most of your debt and will soon be able to get back on your feet. “Getting back on your feet after bankruptcy” is really a test of will. Discharging your debts when you filed chapter 13 or chapter 7 bankruptcy probably left you both emotionally and financially drained. Somewhere inside you need to find the will to pick yourself up, make financial plans (such as a budget), and get back on your feet. Bankruptcy has given you a chance at a “Fresh Start”. After filing for bankruptcy, one of the first steps is to begin learning how to rebuild your credit. 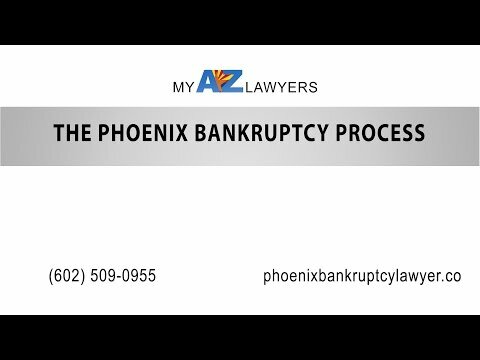 Contact a Phoenix or Tucson, Arizona bankruptcy attorney as they will point out that it is important that you understand after filing Chapter 7 or Chapter 13 bankruptcy in Arizona; your credit needs to be your main focus. Neglecting to focus on your financial situation again will soon land you back in the same dire financial situation that led you to having to file for bankruptcy in the first place. Plan a budget and stick to it. Educate your family members to better manage your money. Postpone big purchases like a car until you are financially ready. Learn to use cash as very little credit will be available to you. Through filing for bankruptcy in Arizona, you have just written off most of the bills that you had; therefore it will be easier for you to concentrate on rebuilding your credit. At the My AZ Lawyers, you will learn more about the proper steps on getting back on your feet after filing for Chapter 7 bankruptcy or Chapter 13 bankruptcy in Arizona. Our experienced bankruptcy lawyers and bankruptcy attorneys near Phoenix, Tucson, Mesa, Glendale, Peoria and throughout Arizona will give you valuable tips and advice on how to bounce back quickly after declaring bankruptcy in Arizona.